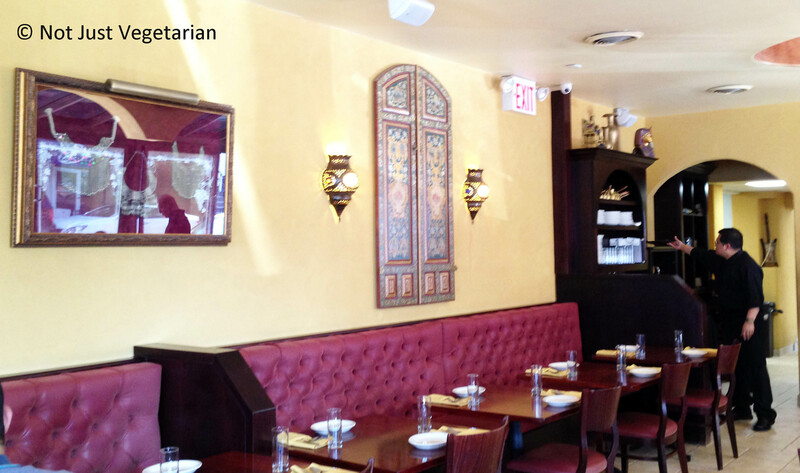 A friend of mine suggested that we have lunch at Tanoreen – a Middle Eastern restaurant with Mediterranean aromas (says the restaurant’s website) in Bay Ridge (Brooklyn). Bay Ridge is an hour’s commute from midtown Manhattan but felt totally worth it after my lunch there on a recent afternoon. I loved the food at Tanoreen. It’s certainly a place to go to with a many friends / family and a lot of time (not just because it takes time to get there from Manhattan), especially if you would like to sample many dishes that the restaurant offers (there are many vegetarian ones too!). Ms. Bishara’s style seems to be including toasted pita bread, slivered toasted almonds for texture, and a generous addition of sumac and zaatar to spice up most dishes, but who’s complaining?!! At Tanoreen, we had some of the best falafels, hummus, mhammara, fatoush salad, mhamara, musakhan, lamd fetti, and a chicken dish (can’t remember the name now), most of which I highly recommend. The falafels were absolutely fantastic – crispy outside, crumbly inside. Certainly among the best falafels in NYC! The hummus was delicious too – silky smooth with a perfect combination of tahini, and lemon juice and olive oil. 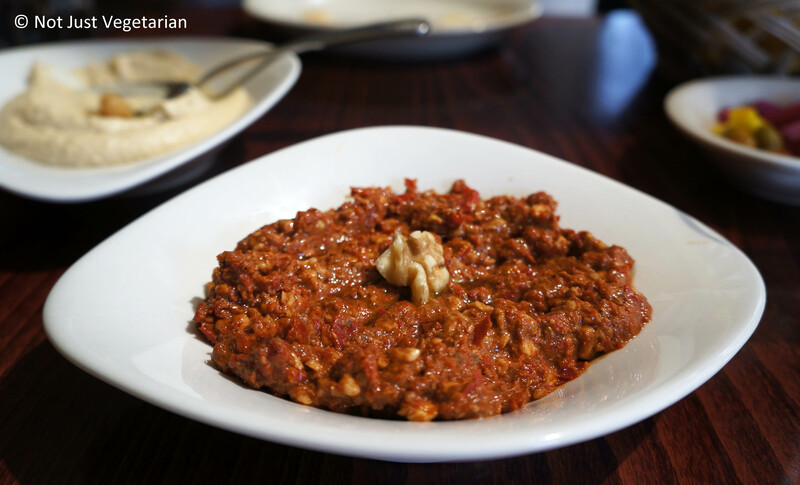 The mhammara was a lovely combination of sweet bell peppers, walnuts, pomegranate molasses. This dish was chunky and not very sweet. 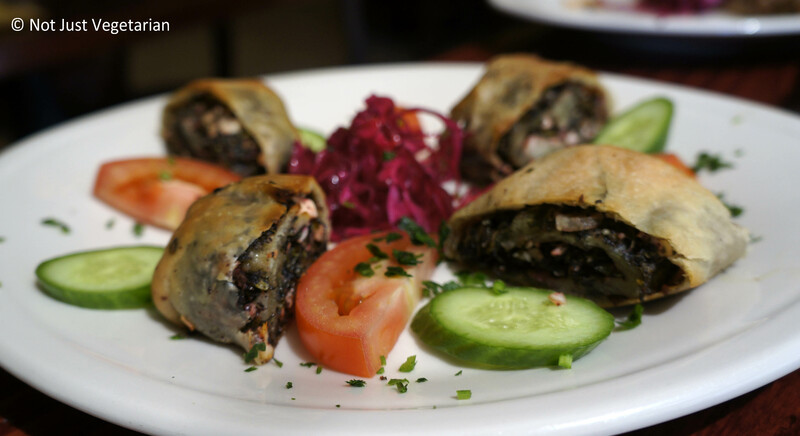 This mhammara tasted significantly better than the super-sweet mouhammara served at Almayass (an Armenian-Lebanese restaurant in the Flat Iron area in NYC – see this Not Just Vegetarian post). 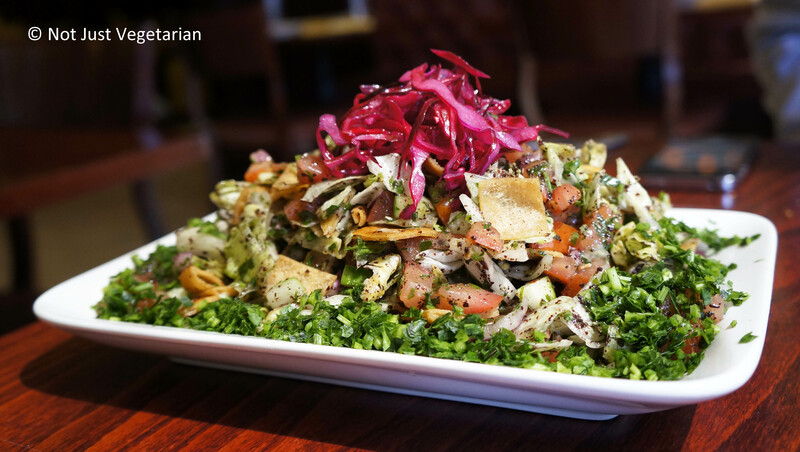 Fatoush was a refreshing salad as always with the toasted pita chips for crunch, parsley, mint, tomatoes, cucumber spiced with sumac and with lemon juice adding the right level of acidity – “perfect for a summer day”, said my friend. You must get this salad even if you do not eat salad otherwise. This was my favorite dish of the day. 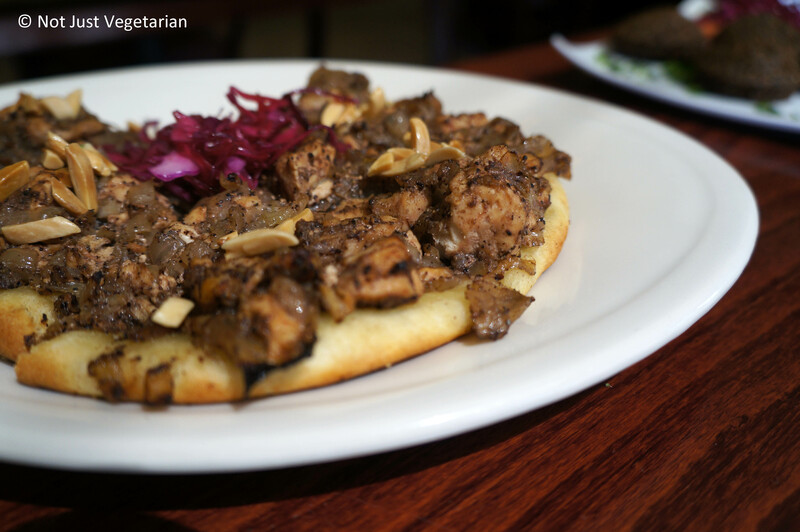 Musakhan is a chicken dish where the chicken is served on a flat bread and topped with caramelized onions. The toasted slivered almonds added a nice crunch too. Musakhan is their specialty dish and so we got it, but can’t say that I loved it. The lamb fetti was my second favorite dish at Tanoreen. If you have never had a lamb dish, eat this one and you will be a convert. The lamb was simmered with a lot of spices I could taste clove and cinnamon distinctly (although it had many more spices e.g., cinnamon, coriander, cumin, nutmeg, dried ginger….) This was a perfect dish with the soft cooked rice and vermicelli, the toasted almonds for crunch, and the soft crispy pieces of pita bread and the hearty filling lamb with tahini and yogurt on top. Apparently, this is a breakfast dish. 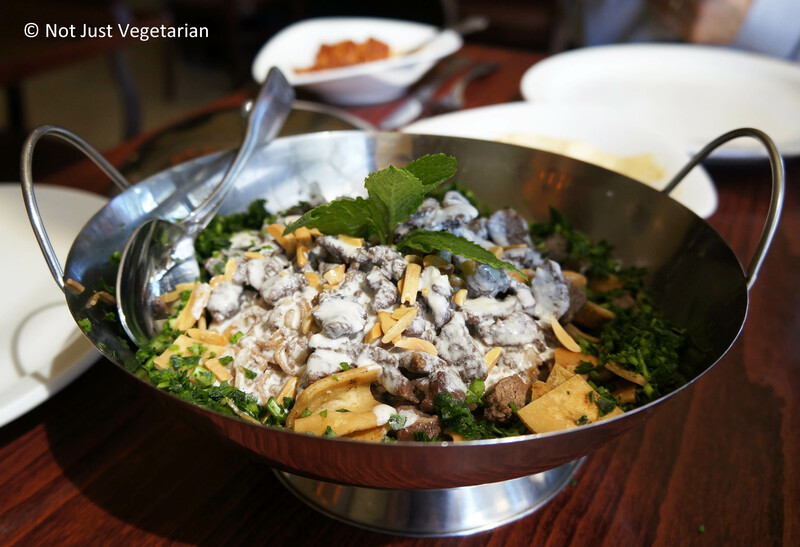 If you do not eat lamb, the same dish is offered with chicken. There was another chicken dish that we had and I seem to have forgotten the name. The chicken was well marinated in zaatar, and rolled in pita and then fried. The chicken was soft and juicy, and although there was something bitter in the dish (over seasoning with zaatar?) I would get this again. 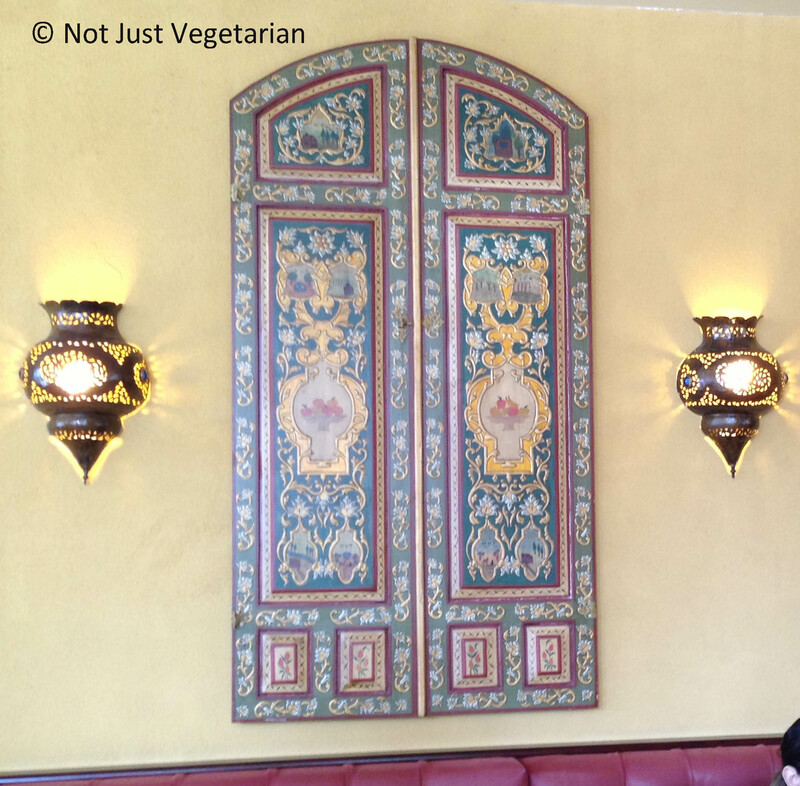 I would go back to Tanoreen with more friends to sample many of their other dishes – especially the vegetarian ones. 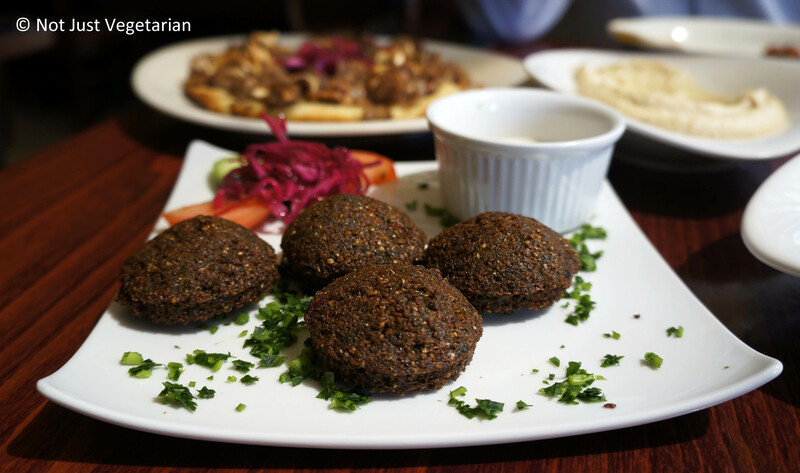 Go to Tanoreen if you are near Bay Ridge or make it a must-do activity for your staycation to taste some of the best (Middle-Eastern) food in the NYC and tell me if I missed anything there. Tanoreen is a Lebanese name, but Ms. Rawia Bishara is a Palestinian who was raised in Israel. . Mouth watering delicious foods is here.. wow!! !